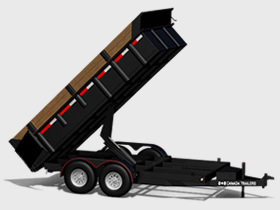 Canada Trailers located in Alymer, ON are one of the few remaining manufacturers in the trailer industry who still provide a wide variety of quality commercial grade trailers north of the US, in Canada. 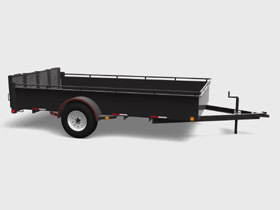 Canada Trailers take pride in offering the most "bang for the buck", loaded with uncommon premium features on all their lineup of trailers such as utility trailers, cargo/enclosed trailers, car & equipment trailers, tilt trailers, dump trailers, pintle flatbed trailers and premium gooseneck trailers. Whether you plan on using the trailer locally for personal use and/or need the trailer to perform under rugged business/commercial use, Canada Trailers has the size and trailer that will last longer than the competitors. These are the "Cadlliacs" of the trailer world! Invest in quality and longevity. 10 Reasons to Buy Canada Trailers!